The day is finally here! I get to share with you the goodies that I received in the mail from Samantha of Sparkly and Slimming…a weight loss blog. 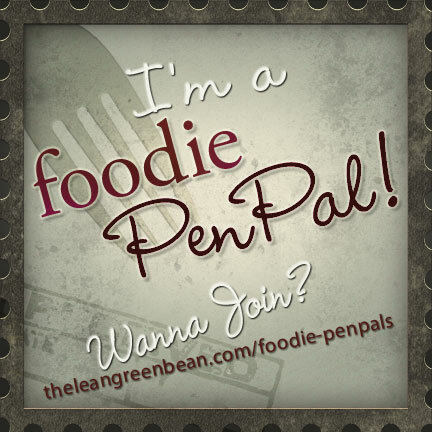 This was my first month participating in the Foodie Penpals program, started in September 2011 by Lindsay of The Lean Green Bean. 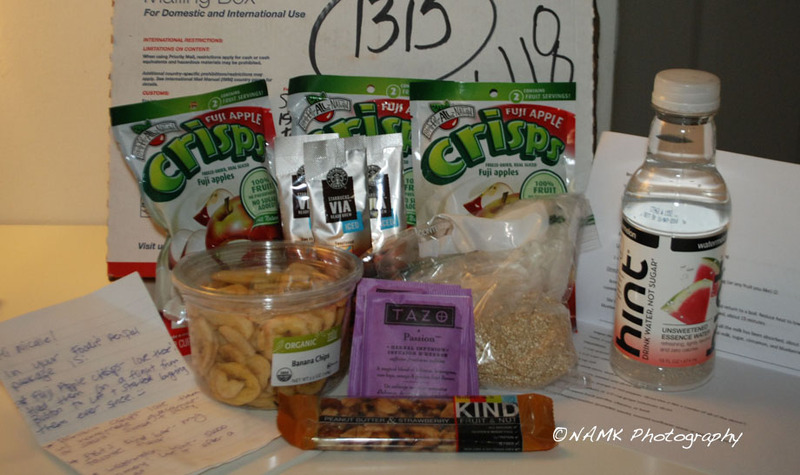 At the beginning of each month you’re paired up with two different people: one who you will be sending a box of goodies to and one who you will receive a box of goodies from. Then you have two weeks to put together a box and mail it. I can’t remember exactly how I came across this program anymore, but it was sometime back in May and I immediately signed up. This has to be one of the most awesome programs through the mail ever, and also a great way to discover new blogs! Samantha also included two recipes for making quinoa – one for breakfast and one for a vegan quinoa salad. I’m very glad she did, because even though I’ve had quinoa before, I never made it my self. I used the quinoa in this dish.